It is surprising how often doubling up of the gene content plays out in biology. The most important is polyploidy. This has driven much of our domesticated grains in particular. Since the most important developments took place pretty well during the ninth millennia or so BP and occurred in several separate locales, it is pretty difficult not to presume deliberate human intervention. Put another way it is possible to induce this and we have known how for some time. The method could have been easily applied by humanity at the time and place. The difficulty is that the knowledge pretty well had to be communicated just when it became possible to engage in agriculture in the post ice age world. That it did begs any explanation except intervention itself and we are back to Noah. 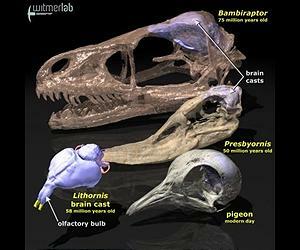 Now we discover a similar occurrence kicked of vertebrate evolution itself. This is coincidental but also suggestive. We really do have to understand just how often this happens naturally. We also have to understand what occurs when it happens naturally and just how much variation can occur. It is a field of biological investigation whose rewards have already been shown over thousands of years and simply needs to be better understood. I would like to know that this all occurs quite naturally and often and all one has to do is keep one's eyes open in the field. This will not get rid of the remarkable transition to agriculture that took place in so many places unless we also show a global awareness of agriculture form work on the continental shelf in the preceding millennia. U.K. researchers say a genetic "mistake" 500 million years ago triggered an evolutionary pathway that eventually led to humans and many other animals. It happened when a spineless creature on the ocean floor experienced two successive doublings in the amount of its DNA, a major genomic event that eventually led to the evolution of humans and other vertebrates, the researchers said. The results have been both good and bad, researchers said. Good because the DNA doublings boosted cellular communication so that our body cells are better at integrating information; bad because breakdowns in that communication, traced back to the same genome duplications, can cause diabetes, cancer and neurological disorders. "Organisms that reproduce sexually usually have two copies of their entire genome, one inherited from each of the two parents," researcher Carol MacKintosh told Discovery News. "What happened over 500 million years ago is that this process 'went wrong' in an invertebrate animal, which somehow inherited twice the usual number of genes," said MacKintosh, a professor in the College of Life Sciences at the University of Dundee. "In a later generation, the fault recurred, doubling the number of copies of each gene once again." "The duplications were not stable, however, and most of the resulting gene duplicates were lost quickly -- long before humans evolved," she said. But some did survive, MacKintosh and her team said. They studied several hundred proteins that work in human cells to coordinate responses to growth factors and to the hormone insulin. A biochemical analysis of the proteins found they date back to the genome duplications 500,000 years ago. In our various postings regarding what is called the European Bronze Age, a number of conclusions are reached regarding key dates. 2420 BC. Great Pyramid built and Lake Superior mining of native copper commences and Bimini, Lewis Isle, Gibraltar great circle route commenced. Connections from Bimini to Poverty Point in Mississippi, the Olmec and soon into the Andes through Lake Maracaibo likely established. Minoan transits of material from Gibraltar to Egypt and also onto India. This all happened early because of the demand created in Egypt and thus a global trade system emerged centered on a sea borne trade empire not too unlike Britain. 1400 BC. Thera blows and wipes out the Minoan heartland. Successor Mycenaeans reoccupied the area of damage and dominated the Eastern Mediterranean. The Mycenaeans were part of the same civilization and trade continued although seriously weakened. By this time trade communities have been established globally and are highly sophisticated and used a common trade language and some form of writing suitable for trade and emulated often. 1159BC. Hekla event and tsunami wipes out Atlantic trade bases at Gibraltar and Bimini. Plausibly Lyonese also subsided at this time and created a huge wave of escaping sea peoples for whom we now have ample sources of supply A dark age fell upon the Greeks and others as trade collapsed and copper stopped moving from Lake Superior. One way or the other copper became a glut in the market, most likely because of population losses in northern Europe. Throughout this 1500 years of development a global skein of trade factories were created to handle the copper business in particular. Mycenae is a particular example as is Athens. It is plausible that almost every city on the Mediterranean littoral was so founded in cooperation with a friendly tribe. The British did the same as did the Spanish and other Europeans during the Age of Discovery. Seagoing was not an indigenous habit anywhere. My first assumption was that the collapse of the copper trade was the end of it all in and around 1159 BC, but that is not realistic at all. The successors of this trade empire, or at least parts of it continued to operate at first as the Phoenicians. It continued to operate into Roman times. Memories were not lost and trade routes remained open but far less frequented. 0 BC High Roman times. Major changes now took place. Caesar conquered Gaul. This included defeating a blue water fleet in the Bay of Biscay. It could only have existed as part of a long time trading enterprise. The ships were larger than any that the Mediterranean needed or used and were higher walled. This also suggests that the Grand Banks fishery may well have long predated all this since the capability was there but possibly not the market. Mauritania was plundered by the Romans and the king sailed away to the west with the treasury and never seen again. All this meant that the sea based peoples had scant love for the Romans and certainly did not encourage curiosity regarding were the traders came from. This is common sense and self preservation which sustained the Phoenicians for centuries. However, Rome internalized communications, making it far less dependent on local blue water seamanship. Then in the fifth century it all came apart and the Mediterranean littoral became hostile to traders generally and remained so through another dark age far worse than the previous one. It remained hostile for several centuries and any remnant of the Atlantic trade was suspended and forgotten. Thus all successor societies founded and bound to these traders were on their own and evolved away. 1492 AD The Age of Discovery is fully launched in the public glare and the former trade empire is relocated but not understood as enough time had elapsed to absorb minorities into the general populations. Many obvious anomalies were noted but not understood. A loss of cultural focus caused by the loss of the Minoan cities and the loss of the Atlantic trade cities in combination with the secrecy maintained by the traders allowed for the full extent of this trade confederacy to remain hidden and ultimately lost. The printing press prevented that from happening in Europe after 1492AD. We have had good news over the past couple of years in terms of tackling AIDS. This item reviews the prospects on the way forward in terms of finally beating this disease. It has become promising. As important, the battle to understand AIDS dragged us out of a medical and biological dark age into a world in which it has become plausible that disease in general will all become a problem of the past. We are not there yet ,but we are palpably closer and even close enough to think in terms of rethinking the whole process of medical delivery. We would have reached this level of understanding in time, but AIDS focused the mind like nothing else. It was the Medical Space Race. Now the mere fact that one person has been cured informs us that it is now possible. So we will keep trying. Investigators are looking into two main paths toward a cure for AIDS, based on the stunning stories of a small group of people around the world who have been able to overcome the disease. Despite progress in treating millions of people globally with antiretroviral drugs, experts say a cure is more crucial than ever because the rate of HIV infections is outpacing the world's ability to medicate people. "For every person who starts antiretroviral therapy, two new individuals are infected with HIV," Javier Martinez-Picado of the IrsiCaixa AIDS Research Institute in Spain told the International AIDS Conference in Washington on Tuesday. Some 34 million people around the world are living with HIV, which has caused around 30 million AIDS-related deaths since the disease first emerged in the 1980s. While antiretroviral drugs are helping more people stay alive than ever before, they are costly and must be taken for life. Experts say only a cure or a vaccine can make a sufficient dent in the deadly pandemic. The most extraordinary case of an apparent cure has been seen in an American man in his 40s, Timothy Ray Brown, also known as the "Berlin patient," who was HIV-positive and developed leukemia. Brown needed a series of complex medical interventions, including total body irradiation and two bone marrow transplants that came from a compatible donor who had a mutation in the CCR5 gene, which acts as a gateway for allowing HIV into the cells. People without CCR5 appear to be immune to HIV because, in the absence of that doorway, HIV cannot penetrate the cells. "Five years after the (first) transplant the patient remains off antiretroviral therapy with no viral rebound," said Martinez-Picado. "This might be the first ever documented patient apparently cured of an HIV infection." However, while the case has provided scientists with ample pathways for research on future gene therapies, the process that appears to have cured Brown carries a high risk of death and toxicity. "Unfortunately this type of intervention is so complex and risky it would not be applicable on a large scale," he said. Brown announced Tuesday he was launching his own foundation to boost research toward a cure as the US capital hosts the world's largest scientific meeting on HIV/AIDS. "My plan is basically to find donors to get funds to help research and set up a system to decide who gets the money," said a frail-looking Brown, 47, adding he planned to dedicate his life to finding a cure for others. "I am a living proof that there could be a cure for AIDS." Another group of intense interest is known as the "controllers," or people whose bodies appear to be able to stave off HIV infection. One type, known as the "elite controllers," test positive for HIV but do not appear to have the virus in the blood, even without treatment. Researchers estimate there may be a few hundred of these people in the world. Another type is the post-treatment controllers, or people who started therapy early and are able to stop it without seeing the virus rebound. Some five to 15 percent of HIV-infected people may fit this category. More details on a group of "controllers" in France known as the Visconti Cohort are expected to be released at the meeting this week, as international scientists share their latest data in the hunt for a cure. Martinez-Picado also described a "promising" study by US researchers, published in the journal Nature on Tuesday, that looks into using new drugs to get rid of the virus when it holes up, or lies dormant in the immune system. Led by researchers at the University of North Carolina, the small study on eight HIV-positive men taking antiretrovirals probed how a lymphoma drug, vorinostat, could activate and disrupt the dormant virus. Patients who took the drug showed an average 4.5-fold increase in the levels of HIV RNA in their CD4+ T cells, evidence that the virus was being unmasked, demonstrating a new potential strategy for attacking latent HIV infection. "We now actively talk of potential scientific solutions in a way perhaps we weren't some years ago," said Diane Havlir, AIDS 2012 US co-chair and professor of medicine at the University of California, San Francisco. The disease remains uncured, but it can be suppressed. Even with full investment, the curve reflecrting total infections will simply flatten out for some time until it begins a precipitous decline. Then it will take a couple of decades before incidence is low enough to make ordinary methods sufficient to keep it in check if not extinct. The point is that it is a global program and it remains to be seen if humanity is up to producing a global program at all. Besides if we are prepared to go that far, we may as well use the platform to tackle all infectious disease at the same time. Victims can then become a resource able to help bring others in as needed. It is a good idea that needs to become a model for global application. Washington (AFP) July 22, 2012 - An international group of scientists on Sunday called for all adults who test positive for HIV to be treated with antiretroviral drugs right away rather than waiting for their immune systems to weaken. The recommendations by the International Antiviral Society are the first by a global group to make such a call, and were released at the 19th International AIDS Conference in Washington, the world's largest meeting on HIV/AIDS. Other major groups, such as the World Health Organization, currently urge treatment after the disease progresses to a certain point, or when the body's T-cells, or CD4 count, reaches or falls below the level of 350 cells/mm3. "These guidelines are aspirational," said Melanie Thompson, a doctor with the AIDS Research Consortium of Atlanta, urging increased testing and better care of those who test positive for HIV. The guidelines are based on new trial data and drug regimens that have become available in the last two years which warrant an "update to guidelines for antiretroviral treatment in HIV-infected adults in resource-rich settings." Some 34 million people in the world are living with HIV, according to the latest UNAIDS report issued last week. 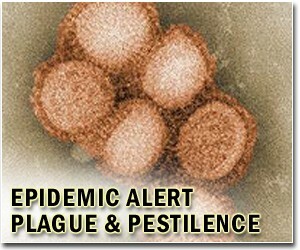 However, about one in five people are not aware of their status and are most at risk of spreading the disease. Some eight million people in low and middle income countries are now on antiretroviral treatment, making up about half of those in the world who need it, the UNAIDS report said. Asked by a reporter if the guidelines were realistic in the current global cash-crunch environment, Thompson replied: "I actually reject the idea that there is not enough money for care and for drugs for antiretroviral therapy. "I think it is a matter of political will. I think it is a matter of prioritizing and recognizing that treatment of HIV is cost-effective. It may be cost-saving as well," she said. "The science should drive the allocation of resources and guidelines can play an important role in that respect." The full guidelines are published in Sunday's theme issue of the Journal of the American Medical Association, which focuses on HIV/AIDS. "Unfortunately most people in the world are not going to benefit from our guideline recommendations," Thompson said, noting that most people seek care too late, by the time they already have full-blown AIDS. Science has given the world "no excuse" to resist bold action against the spread of the 30-year AIDS pandemic, said a top US expert at the opening of the International AIDS Conference on Sunday. This year's meeting, themed "Turning the Tide Together," is the world's largest gathering on HIV/AIDS and is expected to draw 25,000 people, including politicians, scientists, celebrities and activists. High-profile guests at the six-day event include Secretary of State Hillary Clinton, who will speak on Monday at 1400 GMT, former president Bill Clinton, former first lady Laura Bush, singer Elton John and actress Whoopi Goldberg. President Barack Obama will not attend in person but will send a video message and will invite some attendees to the White House for talks on Thursday, a top health official said. Many experts have spoken of their optimism in the days leading up to the event. But Anthony Fauci, director of the National Institute of Allergy and Infectious Diseases, said the pace of progress must accelerate. "The fact remains that right now, today, in the summer of 2012, 31 years after the first cases were reported, there is no excuse scientifically to say we cannot do it," Fauci said. "What we need now is the political, organizational and individual will to implement what science has given us." Fauci cited the recent UNAIDS report released last week that showed there were 2.5 million new infections worldwide in 2011, down from 2.7 million in the prior report. "But that makes the slope look like that," he said, holding out a flat hand. "That is unacceptable." Among the tools that scientists have are trials that show treatment can reduce the risk of transmitting the virus to others, and antiretroviral drugs that, when taken by healthy people, can help reduce their risk of becoming infected. Also on opening day, an international group of scientists called for all adults who test positive for HIV to be treated with antiretroviral drugs right away rather than waiting for their immune systems to weaken. The International Antiviral Society is the first global group to make such a call. Other major groups, such as the World Health Organization, currently urge treatment after the disease progresses to a certain point, or when the body's T-cell count, or CD4 count, reaches or falls below the level of 350 cells/mm3. Held every two years, the conference has returned to the United States for the first time since 1990, after being kept away by laws that barred people with HIV from traveling to the country. The US ban was formally lifted in 2009. The hunt for a cure, which has eluded scientists, will be another hot topic. HIV co-discoverer and Nobel laureate Francoise Barre-Sinoussi announced on Thursday a new roadmap for scientists in research toward a cure. The only man who has achieved a functional cure of HIV though a bone marrow transplant, American Timothy Brown, also known as the "Berlin patient," will address the conference on Tuesday at 1500 GMT to publicize new efforts in this direction. Funding, too, is at a critical juncture, with many nations boosting their domestic spending on the disease while international donations remain flat. Total worldwide investment in HIV was $16.8 billion last year, an 11 percent rise from 2010, but still far short of the $22-24 billion needed by 2015, according to UNAIDS. For the entirety of my adult life, gun control has been a political hot button that has been kicked around and made difficult. Thus we have no working system whatsoever. My contention is that this is easily resolved and certainly not by any of the methods that have been dabbled in. In Canada we had the long gun registry which evolved into a bureaucratic boondoggle for a decade before it was recently put out of its misery. All programs suffered from been excuses for run away government aggrandizement. The natural solution is to establish an insurance mandate and simply allow private industry run wild. The risks are completely measurable and fundable. 1 Start with mandatory insurance coverage for every firearm privately owned. 2 That coverage includes a $1,000,000 payment to the estate of anyone killed and full medical in event of injury. Even make it no fault. This is similar to auto insurance. 3 Establish gun dealers as agents to sell the product and administer it. 4 liability is not escaped in the case of theft. Nonpayment of insurance is possible if the weapon is put directly into police storage or equivalent. Liability from theft can only be extinguished in a similar facility. 5 Then consider establishing liability back to the last owner as the gold standard for the system thus making the manufacturers the first owner. There is a lot of fuss out there in terms of present ownership, but all these aspects can be insured and should be. Thus the industry has their industry but is forced to establish an economic system of ultimate responsibility that offsets the true costs of the industry. I personally think that the industry itself will turn all this into a profit center and become marvelous at driving down the costs of doing business until death by gunshot becomes rare. Even better, the government is out of game and storage becomes a local problem. It also provides an avenue to pursue weapons that have disappeared as the risk to former owners is not zero. In the meantime, we have an insurance scheme in which insured weapons cover the costs of uninsured weapons to society which really motivates the industry to run down every such weapon in order to reduce claims. Since the total homicides per year in the USA happens to be around 15,000, the actual annual claim level for this form of insurance will run at about fifteen to thirty billion dollars. Since this will be covered by around 50,000,000 households, the insurance bill per household should run around $500 on average per year with a wide range of adjustments with few breaks for collections. Farmers will naturally have their own much cheaper class as an example of an obvious break. Perhaps the gun industry itself would love to foot this bill? It is long past time that society stopped paying for reckless or criminal behavior in gun handling. I would also cause uninsured weapons to be stored against a minimal storage fee that can accumulate to half the assessed value of the weapon and be automatically collected whenever the weapon comes out of storage. They are easy enough to store and such a system makes storage the preferred option to collectors and most owners. In the end, I do expect that insurance companies will be way more circumspect regarding who gets to own a gun than anyone presently in the loop. It still will never stop a dedicated nut case, but no gun control system will ever do that anyway. However someone buying multiple weapons requiring multiple policies should at least attract a visit from his agent. If there is any certainty in the technology world of today were just about every present solution appears to have a replacement jumping up and down in the wings, it is that tires generally will not be going obsolete. Thus finding that we can expect to see biological oils replacing at least part of the usage of petroleum products is welcome news. This is really a return to nature, but with a much superior approach. We get better tires instead of a mere replacement. There is no doubt that oil will be exiting the general energy business over the medium to long term. Right now we are living through its last hurray. As I have posted in the past once displacment technologies begin to bite, global oil demand will enter a decline that will drop production down to a global volume of perhaps a third of present production. Natural gas will linger longer because of long haul tucking and the heating industry. Thus in time, the petrochemical business will be the dominant market for oil of which ample reserves will then be available. Yet superior biological applications do need to be worked out even if only to make oil easily displaced. So even if I do not think that we will have the need for centuries even, it is still prudent to know and even use superior biological protocols. It’s good for the environment when manufacturers can find ways of using less fossil fuels, while consumers – along with the environment – benefit when products last longer. Now, thanks to the humble soybean, both parties may be able to get what they need. Researchers from the Goodyear Tire and Rubber Company have discovered that soybean oil can help reduce the amount of petroleum used in tires, while also extending those tires’ tread life. Specifically, it was determined that by using soybean oil in the tire rubber compound, the company could reduce its use of petroleum-based oil by up to seven million gallons (26.5 million liters) a year, while the tread life of the tires would increase by approximately ten percent. 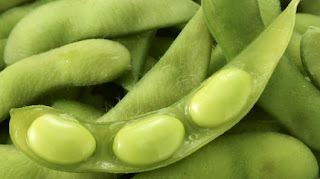 Additionally, tests showed that the soybean rubber compound blended more easily with the silica used in tire production. This means that tire plants using it could operate more efficiently, using less power and creating less greenhouse gases – they would also cost the company less to run. Prototype tires made with the soybean oil will be tested in Texas over the next few months. If all goes well, the tires could be available for purchase by 2015. Goodyear is also developing a sugar-based compound known as BioIsoprene, which could replace some of the petroleum-based isoprene currently used in tires. 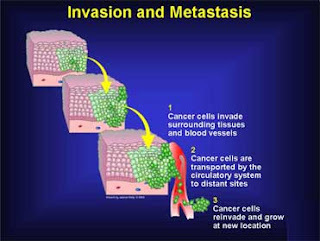 One more anti cancer agency is now firmly in play and most important, it addresses the pathway that allows metastasis. Most cancer can be lived with if it does not grow and does not metastase. Thus a simple safe drug that stalls the disease is actually good enough and in many cases the wisest solution. Plenty of problems will emerge in the body and be fought to a stand still by the immune system. Yet when the problem is actually removed, the body lowers its defenses allowing yet another emergence. Planters warts are a good example. They can be trimmed forever as long as they are not inconvenient. Yet removal will present a new one shortly simply because the virus is still in play. The same surely holds true for some cancers. No mention here is made of the actual plant unfortunately, but I am sure it will easily be found. In the meantime it appears that the protein itself can be made available shortly. Newswise — STRATFORD, N.J. – An international team of scientists led by Gary Goldberg, PhD, of the University of Medicine and Dentistry of New Jersey-School of Osteopathic Medicine (UMDNJ-SOM), has found that a protein from the seeds of a plant used for centuries in traditional medicines may be able to halt the spread of melanoma, a lethal form of skin cancer. The National Cancer Institute estimates that melanoma will cause more than 9,000 deaths in the United States this year. On average, melanoma kills one person nearly every hour in the USA, and many more in other countries. Previously published research prompted Dr. Goldberg’s team to examine a protein extracted from the seeds of a legume tree that is native to parts of Asia. References to this tree being used medicinally can be found in ancient Chinese documents that date back more than 400 years. Dr. Goldberg and his colleagues found that MASL, a specific component found in the plant’s seeds, interacts with a receptor called podoplanin (PDPN) that is expressed by many types of cancer cells. This discovery seemed profound as they and other investigators found that the PDPN receptor promotes tumor invasion and metastasis to other parts of the body that are sources of the vast majority of cancer deaths. Dr. Goldberg collaborated with other investigators at UMDNJ, Nagoya University, the University of Michigan and GlaxoSmithKline to find that MASL targets the PDPN receptor to inhibit the migration and growth of melanoma cells in cell culture and mouse models. The findings appear in the July 23 edition of PLoS ONE. Although these studies focused on melanoma, MASL may also be useful to treat and prevent a variety of other cancers that express PDPN. Dr. Goldberg's group has collaborated with the Developmental Therapeutics Program at the National Cancer Institute of the NIH to find that MASL can effectively suppress the growth of lung, breast, prostate, colon, and brain cancer cells that are often resistant to current therapies. Many anti-cancer drugs cause significant side effects because they indiscriminately kill all dividing cells rather than precisely targeting cancerous ones. Often, these medications need to be given intravenously and many do not work well on specific cancers including malignant melanoma. In contrast, Dr. Goldberg's findings indicate that MASL can be taken orally to effectively combat cancer. Dr. Goldberg and his colleagues have recently founded a company named Sentrimed to develop MASL and other diagnostic and therapeutic agents for animals and humans. Journalists who wish to interview Dr. Goldberg regarding this study should contact Rob Forman, UMDNJ News Service, at 973-972-7276 or formanra@umdnj.edu. At the end of the day, magnetic levitation is well understood and is far too often a solution in search of a problem. Otherwise levitated lights are an attractive design concept and may even be worth a special effort. Unfortunately it presently needs a special environment. Thus lighting up large voids this way is still in the future. On the other hand a powered roof panel and a floor panel underneath may do the trick provided the device could be kept isolated from the problem of human interaction. I think that it is far too likely to be problematic. In the meantime it is a reminder that invisible forces surround us and do allow neat toys that folks like to see. The inclusion of a floating lamp, bed or just about any appropriately-sized household object in a room is almost certain to be received with open-mouthed wonder and demand closer inspection from the curious minds of young and old alike. Add the wireless transfer of power into the mix and you're guaranteed to have a winner. Such is the case with 18 year-old Chris Rieger's LevLight. It's not exactly huge, doesn't break any new ground in a technical sense and is more functional than flashy. Nevertheless, the floating LED is quite the visual feast. The Electrical Engineering student from the University of Queensland Australia embarked on the six month build project after being inspired by a Jeff Lieberman sculpture called light bulb from 2007. This work not only magically suspends an incandescent light bulb in the space between solid upper and lower blocks, but also provides it with wire-free power. Rieger describes the creation of the levitation mechanism for LevLight as the simple part of the project. He modified a Hall Effect Levitator circuit designed by Eirik Taylor to include 300 meters (984 feet) of 20awg wire for the electromagnetic drive coil and a 3-pin, 1.325mV/g linear hall effect sensor from RS components to provide feedback on the position of the wirelessly suspended light. LevLight uses a low power LED positioned on the bottom of a permanent magnet surrounded by a wireless power transfer circuit (a simple LC circuit). Not so easy for our intrepid circuit magician was the wireless power transfer mechanism. Of course, we've covered many examples of this kind of technology here at Gizmag over the years and were I asked to choose one, it wouldn't be one of the many mobile device or electric vehicle charging developments but rather the potentially life-enhancing FREE-D system developed by researchers from the University of Washington and the University of Pittsburgh Medical Center. Rieger's version takes the shape of another circuit modification (this time from the 4HV electronics and science enthusiast site). The setup consists of a single wire ring connected to the power source (a hacked benchtop unit made from an old 350W power supply unit and banana plug ports) and pulling 0.5A at 12V. Send and receive coils were then tuned to matched frequencies. 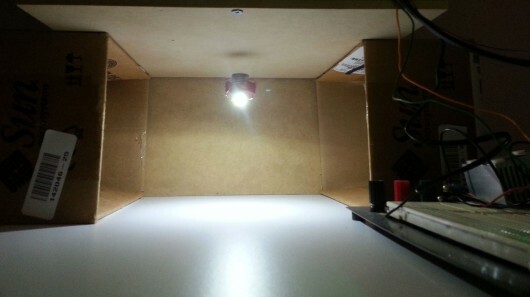 The drive coil and wireless mechanism are hidden from view inside a wooden enclosure raised on two cardboard box columns and, with the power switched on, the LED light floats in the space underneath. Rieger says that when the power to the levitating system is turned off (or in the event of a power failure) the LED light unit jumps up to attach itself to the base of the wooden box rather than falling to the ground. Describing LevLight in words is all well and good, but it really needs to be seen to be fully appreciated. To that end, have a look at the demo video below. What is happening is that publicity is forcing some changes on what is questionable practice and not even hugely important economically. What these practices are though are a result in the drive to the lowest common denominator and society has never had to accept that at all. What this shows us though is a clear road forward. Regulatory control must focus on the wholesale industry rather than the producer. Once the wholesale industry is unable to purchase or import non compliant product, everything sorts itself out and those operating in the unregulated sector become marginalized at least. Better, it lifts the burden of compliance from the producers because their playing field becomes level and reliability becomes the driving force. Legislators need to recall that society can choose what is the lowest common denominator. For instance, it is simple to legislate that all milk must be bought from farms with a sufficient land base to handle the produced manure. In fact that can be applied across the animal husbandry business. All of a sudden, the producers will all know what needs to be done and act accordingly. Just doing that will rapidly sort out the industry and eliminate a lot of secondary abuse. Most such regulations need to be transitioned in at the rate of ten percent per year to avoid sudden market distortion. I would even go so far as to regulate a shift to organic protocols at the rate of five percent per year. We know it can be done and we know it may become necessary to rethink parts of industry. Tet it is hugely beneficial and doable without reducing productivity. Again it needs to be done by regulating what the wholesale industry buys here and aboad. 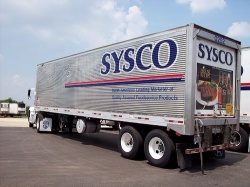 Sysco — the giant, often-invisible food distributor — offers 400,000 products to the bulk of the nation’s restaurants and other institutions. It has a 17.5 percent market share, made $37 billion in sales in 2010 alone, and dispatches a cavalcade of silver trucks daily from 180 locations across the U. S.
In other words, Sysco is wholesale food in America, the same way Cargill is farming and Walmart is, well, all of retail. Or, as Salon put it back in 2009, Sysco has “come to monopolize most of what you eat.” So when the company changes a policy — like it announced it was doing on Monday, when it pledged to do away with meat from pigs raised in gestation crates — there is bound to be a striking ripple effect. As their name implies, gestation crates are essentially steel cages that keep pregnant sows confined in a space roughly the size of their bodies. They’re commonly seen — along with battery cages for egg-laying hens — as among the least humane livestock practices. Animal behavior expert Temple Grandin describes gestation grates as the equivalent of “asking a sow to live in an airline seat” (without lavatory privileges). Over the course of the last year, thanks to consumer demand, and an ongoing effort by HSUS, most major players in the fast food, grocery, and food service industries have gone — at least on paper — gestation crate-free. The list includes Burger King, McDonald’s, Wendy’s,Denny’s, Carl’s Jr., Safeway, Kroger, Costco, Kraft, and Hormel (the maker of Spam). Even Smithfield Foods — the nation’s largest pork producer — has agreed to phase out the crates by 2017. So Sysco can’t, by any means, say it’s first to make the pledge (and the company has yet to specify a timeline for the switch), but its move might have the largest impact so far on the practices farmers are using on the ground. It’s still hard to say how all this pledging — most of it attached to dates that are five to 10 years in the future — will truly impact animal agriculture, but Balk is optimistic. He says that although Smithfield still has five years to make the change, for instance, it does report the percentages of its corporate hog farms that have switched to so-called “group housing” in its last few annual reports. The agriculture giant Cargill has also reportedly moved 50 percent of its operations to group housing. And of course there are notable holdouts. This spring we reported that Domino’s Pizza was applauded by the American Farm Bureau Federation when it announced it would not be following the trend (I’ll take a large meat lover’s with extra cruelty, please!). And Tyson Foods, says Balk, has been the “most outspoken opponent” of the change, and the most likely to actively defend the use of the crates. Just how Tyson plans to do business in a system that is rapidly moving away from the practice is a mystery. But it’s likely that the company is hoping that consumer attention to the issue dies down before many of its partner companies (like Sysco, for instance) have to follow through on their pledges. But I have a feeling — if the HSUS has anything to do with it, at least — that probably won’t be the case. This pretty well puts the iron question to bed. 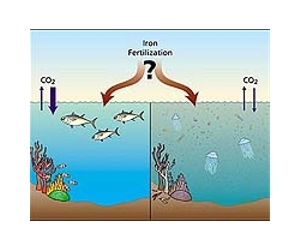 We are assured that if we wish to reduce CO2 content in the ocean and place it back into the geological storehouse, it is enough to provide ample iron. Now if we could find a clever way to work with mother Earth to do this we may have an important technology. We will not see much more in terms of experimentation until we discover a good economic reason to do this. In the event it is good to know. Iron plays an important role in the climate system. It is involved in many biochemical processes such as photosynthesis and is hence an essential element for biological production in the oceans and, therefore, for CO2 absorption from the atmosphere. An international research team has published the results of an ocean iron fertilization experiment (EIFEX) carried out in 2004 in the current issue of the scientific journal Nature. Unlike the LOHAFEX experiment carried out in 2009, EIFEX has shown that a substantial proportion of carbon from the induced algal bloom sank to the deep sea floor.ore being published now, provide a valuable contribution to our better understanding of the global carbon cycle. An international team on board the research vessel Polarstern fertilized in spring 2004 (i.e. at the end of the summer season in the southern hemisphere) a part of the closed core of a stable marine eddy in the Southern Ocean with dissolved iron, which stimulated the growth of unicellular algae (phytoplankton). The team followed the development of the phytoplankton bloom for five weeks from its start to its decline phase. The maximum biomass attained by the bloom was with a peak chlorophyll stock of 286 Milligram per square metre higher than that of blooms stimulated by the previous 12 iron fertilization experiments. According to Prof. Dr. Victor Smetacek and Dr. Christine Klaas from the Alfred Wegener Institute for Polar and Marine Research in the Helmholtz Association, this was all the more remarkable because the EIFEX bloom developed in a 100 metre deep mixed layer which is much deeper than hitherto believed to be the lower limit for bloom development. The bloom was dominated by diatoms, a group of algae that require dissolved silicon to make their shells and are known to form large, slimy aggregates with high sinking rates at the end of their blooms. "We were able to prove that over 50 per cent of the plankton bloom sank below 1000 metre depth indicating that their carbon content can be stored in the deep ocean and in the underlying seafloor sediments for time scales of well over a century", says Smetacek. These results contrast with those of the LOHAFEX experiment carried out in 2009 where diatom growth was limited by different nutrient conditions, especially the absence of dissolved silicon in the chosen eddy. Instead, the plankton bloom consisted of other types of algae which, however, have no protective shell and were eaten more easily by zooplankton. "This shows how differently communities of organisms can react to the addition of iron in the ocean", says Dr. Christine Klaas. "We expect similarly detailed insights on the transportation of carbon between atmosphere, ocean and sea bottom from the further scientific analysis of the LOHAFEX data", adds Prof. Dr. Wolf-Gladrow, Head of Biosciences at the Alfred Wegener Institute, who is also involved in the Nature study. During past ice ages the air was cooler and drier than it is today and more iron-containing dust was transported from the continents to the ocean by the wind. The iron supply to marine phytoplankton was hence higher during the ice ages. This natural process is simulated in iron fertilisation experiments under controlled conditions. "Such controlled iron fertilization experiments in the ocean enable us to test hypotheses and quantify processes that cannot be studied in laboratory experiments. The results improve our understanding of processes in the ocean relevant to climate change", says Smetacek. "The controversy surrounding iron fertilization experiments has led to a thorough evaluation of our results before publication", comments the marinescientist as an explanation for the long delay between the experiment to the current publication in Nature. This is an interesting and new approach to tackling cancer. Most interesting, it appears to tackle the causation of rapid cell growth itself. Just halting that would be almost deemed a cure. Hopefully this all pays off. To date it is very promising, but the present test protocol may need a lot of jigging before it is safe to play. One more item to track in the continuing fight to bring cancer under control. Researchers at Melbourne’s Peter MacCallum (Peter Mac) Cancer Centre are set to begin clinical trials of a cancer treatment they say represents a major shift in molecular approaches to treating the disease. The treatment, which has proven successful in the lab against lymphoma and leukemia cells, targets the production of proteins within the heart of cancer cells, while leaving healthy cells relatively unaffected. Ribosomes are a complex of molecules found within all living cells – including cancerous and healthy cells – that are responsible for the formation of proteins from individual amino acids. Associate Professor Ross Hannan, Co-Head of the Oncogenic Signalling and Growth Control Program at Peter Mac, says that the production of ribosomes, known as ribosome biogenesis, which occurs in both the cell cytoplasm and cell nucleus, was previously assumed to be a “housekeeping” operation that could not be targeted by anti-cancer drugs. But Hannan, who has spent most of his research career investigating ribosome biogenesis and its importance to the biology of cancer cells, suspected otherwise. The research team confirmed Hanna’s suspicions, finding that blocking this routine cellular process within cancer cells can selectively kill them, while leaving healthy cells unaffected. “We’ve demonstrated that cancer cells are far more dependent on their ability to make ribosomes than normal cells, and therefore, much more vulnerable if these ‘protein factories’ come under attack,” said Hannan. 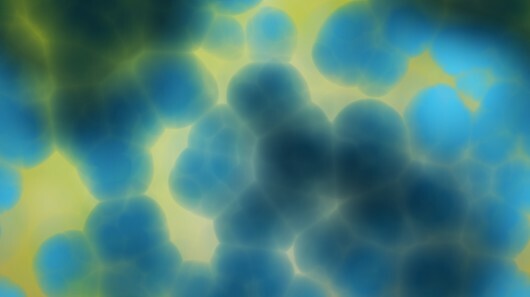 “When we blocked the enzyme responsible for producing the major ribosomal components in pre-clinical laboratory models, it set off a chain of events that killed lymphoma and leukaemia cells, but left normal, healthy cells unaffected,” added Professor Grant McArthur, Co-Head of the Cancer Therapeutics Program, who says these findings suggest that a new class of therapies that selectively inhibit ribosome formation and block protein formation could one day offer effective treatment of human cancers. Working with pharmaceutical company, Cylene Pharmaceuticals, the researchers have now developed a compound, called CX-5461, that will allow them to test their research in patients. The first-in-human clinical trials to establish the safety profile of this approach will commence in patients with blood cancers at Peter Mac later this year. The team's research appears in the journal Cancer Cell. This is a nice bit of work that will even be economically viable. I also wonder were else this type of thinking may apply. Obviously it will allow a more efficient use of certain feeds and this is good. Phosphorus is a vital nutrient for pig growth, but pigs do not always digest it well. 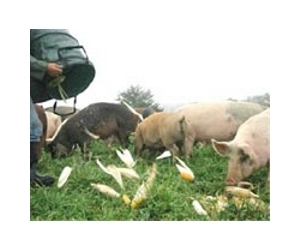 Research conducted at the University of Illinois has determined how adding various levels of the enzyme phytase to the diet improves how pigs digest the phosphorus in four different feed ingredients. Improving phosphorus digestibility has positive implications for producers' bottom lines as well as for the environment. "The majority of the phosphorus in plant feed ingredients is bound in phytate," said U of I animal sciences professor Hans Stein. "It is difficult for pigs to utilize that phosphorus because they cannot hydrolyze that phytate molecule. There is an exogenous enzyme called phytase that helps the pigs hydrolyze that phosphorus bond from phytate so the digestibility is increased." However, there are no data on the response to different levels of phytase in the diet. "It's not known if we need to add 500, or 1,000, or 1,500 units of phytase to get a maximum response, and it's also not known if the response is the same when we use different feed ingredients," Stein said. Stein's team tested the digestibility of phosphorus in conventional corn grain, corn germ, distillers dried grains with solubles (DDGS), and high-protein distillers dried grains (DDG). They tested each ingredient with no phytate and with 500 units, 1,000 units, and 1,500 units of added phytate. Supplementation with 500, 1,000, and 1,500 units of phytate increased phosphorus digestibility from 40.9 percent in corn grain with no added phytate to 67.5, 64.5, and 74.9 percent, respectively. Phosphorus digestibility in corn germ increased from 40.7 percent to 59.0, 64.4, and 63.2 percent, respectively. Digestibility of phosphorus in DDGS increased from 76.9 percent to 82.9, 82.5, and 83.0 percent, respectively, but the increase was not significant. Phosphorus digestibility in high protein DDG increased from 77.1 percent to 88.0, 84.1, and 86.9 percent, respectively. "What we discovered was that for corn and corn germ, we had a low digestibility without phytase, but as we added phytase to the diet, we increased the digestibility quite dramatically," Stein said. ethanol plant and therefore, less of the phosphorus is bound to phytate in DDGS and high-protein DDG. "When we added phytase to DDGS, we did not see a significant increase in digestibility because the digestibility was already very high. And the same was true for HP DDG," said Stein. "What this tells us is that the effect of phytase depends on the particular ingredient. If it's an ingredient that has a lot of phosphorus bound to phytate, we see a nice response, but if it doesn't have much phosphorus bound to phytate, we don't see nearly as much of a response." The second finding was that the response to phytase is not linear. "The response to the initial 500 units of phytase is much greater than if we add another 500 units or another 500 units after that," said Stein. "It's a curvilinear response, even for the ingredients where a good response is obtained." The researchers developed equations to predict the response to every level of phytase supplementation up to 1,500 units. This research will help producers and feed companies to increase the digestibility of phosphorus in ingredients they are already feeding, thus avoiding the expense of adding dicalcium phosphate or monocalcium phosphate to swine diets. "With current prices, it's less expensive to use phytase than it is to use dicalcium phosphate or monocalcium phosphate," Stein pointed out. Use of phytase to improve phosphorus digestibility also reduces the amount of phosphorus excreted in feces, which in turn reduces the environmental impact of swine production. Stein's lab is continuing its research into phytase supplementation and is currently testing different sources of canola meal and soybean meal. He and his team plan to conduct similar research for all major feed ingredients used in U.S. swine diets. The study was published in a recent issue of the Journal of Animal Science and was co-authored with doctoral candidate Ferdinando Almeida. What is clear is that the Rossi reactor is been steadily advanced. Particularly the operating temperature is climbing nicely. This was to be expected and it is been achieved. This all leads to a major increase in general thermodynamic efficiency. That gaining approval for a retail product is taking much more time is no surprise whatsoever as the surprise would have been early acceptance there. What is way more interesting is that they have a strategy in place for direct energy conversion. This is a big surprise and obviously hugely important. I presume some details may be forthcoming in the upcoming September report. In the meantime, Rossi attracts the usual pack of self appointed naysayers, few of which would ever be allowed in a lab. Anyone can claim a magic show with zero evidence and be written up simply because the ignorant need such stories. It is far harder to bang metal together and change knowledge of the laws of physics as is happening here. I find his pronouncements though affected by his weak English to be as careful as I would expect from a physicist. Thus we can take them seriously and hope it is possible to turn them into working tools as soon as possible. And yes it is going to take plenty of time. 1) Many people are awaiting with great anticipation the report about the high temperature E-Cats. Can you tell us when we might expect that report to be published? 2) What is the importance of this report to Leonardo Corp.? 3) I have read comments from anonymous sources on the Internet that you have reached stable temperatures over 1,000C. b) Can you share any information about these breakthroughs, if they did indeed take place as alleged? c) Can you say anything about how many kilowatts of output are produced per square meter of the external surface area of the reactor? 4) Can you elaborate on the “monumentous” events that you have mentioned took place recently, that you indicated were as important as October 28, 2011 in accelerating your work? 5) You recently stated “The certification for the domestic apparatus will take much more time.” Do you still think it is realistic to expect domestic E-Cats to be on the market around the summer of 2013? 6) Can you say when the first non-military 1 MW plant will be delivered and in operation? When will the public know about it? 7) Have you been involved in any testing of using E-Cat heat to create electricity yet? If so, how is progress in that area? 8) In addition to using steam turbines to create electricity from E-Cat heat, what other technologies that you know of might be viable for converting E-Cat heat to electricity? Islamists Have the Keys to the Arab World?